We have blocked rooms at Barceló Costa Vasca Hotel , near (just a short walk) to the Conference Venue: Miramar Palace. Negotiated price for delegates: 100€+ 10% VAT (you can also look for other accommodation facilities in the city area). 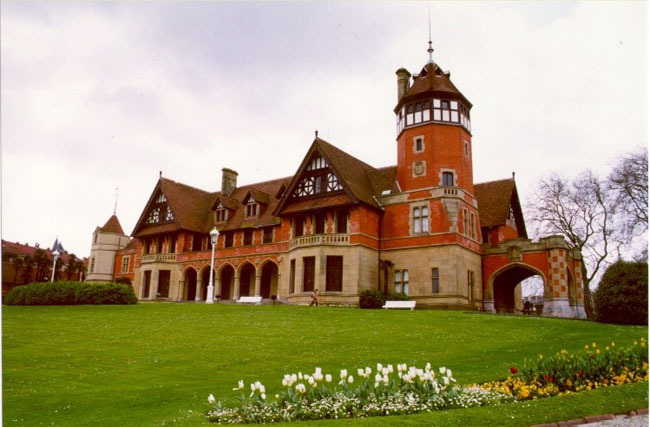 Thanks to the kind support of the Summer Courses of the Basque Country University the Conference Web3D 2013 will be held in the Miramar Palace, an architectural jewel used today for prestigious courses and conferences. When regent Queen María Cristina, King Alfonso XIII's mother, began spending her summer holidays in Donostia-San Sebastián, arose the need of building a "Royal Country House". The Queen chose the Count of Morianna's property, a small hillock between the city centre and Antiguo neighbourhood, with fantastic views of La Concha bay. 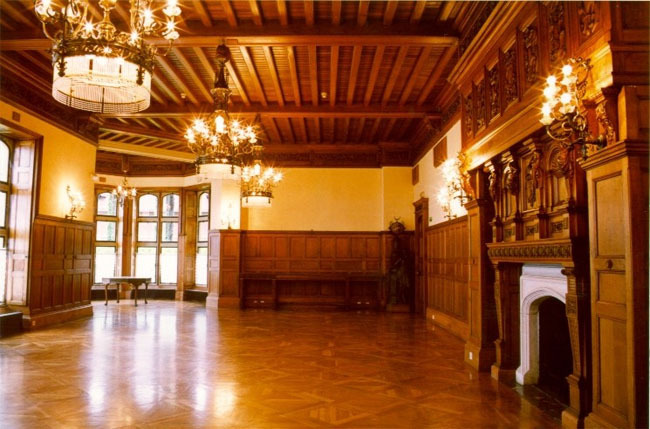 Following the project by English architect Selden Wornum, master builder José Goikoa built the structure in English style, but added some Neo-Gothic elements too. The compound was completed with stables, workshop and coach houses. Besides, they built a big park designed by Pierre Ducasse. In all, Miramar Palace and the park cover a surface area of 34,136 square metres. After the Queen's decease the property went to Alfonso XIII. During the II Republic it was expropriated and, years later, given back to the Borbón family. The Town Council bought a part of the propriety (present palace and gardens) in 1972. Nowadays the gardens are open to the public but normally the building is closed. The building hosts, for instance, summer courses by the University of the Basque Country and some concerts from the Musical Fortnight. Principal Airport: Bilbao Airport (BIO). 100 km. Regular public bus service to San Sebastian every 60 minutes. San Sebastian (Donostia in the local Basque language) is the capital of Gipuzkoa, one of the three provinces within the Autonomous Community: the Basque Country. It is located on the north-eastern coast of Spain, near the French border and the Pyrenees range. It has a population of more than 180,000. It is nationally and internationally connected via a network of motorways, railways and 4 airports all within a 100 km radius. Airlines operating: AER LINGUS, AIR EUROPA, AIR NOSTRUM, ÁNDALUS LÍNEAS AÉREAS, AIR BERLIN, AIR FRANCE, ALITALIA, BRUSSELS AIRLINES, EASYJET, IBERIA, IBERWORLD, LUFTHANSA, QUANTUM AIR, SAS SCANDINAVIAN AIRLINES, SPANAIR, SWIFTAIR, TAP PORTUGAL, TUIfly, VUELING AIRLINES. With direct connections to: Brussels, Dublin, Düsseldorf, Frankfurt, Lisbon, London, Madeira, Marrakech, Munich, Paris, Alicante, Barcelona, Fuerteventura, Gran Canaria, Ibiza, La Palma, Lanzarote, Madrid, Malaga, Minorca, Palma de Mallorca, Santiago de Compostela, Seville, Tenerife. Airlines operating: AIR NOSTRUM and IBERIA. With direct connections to: Barcelona and Madrid. Airlines operating: AIR FRANCE, BABOO, BLUE, EASYJET, RYANAIR. Conexión directa con: Paris, Lyon, Nice, Genoa, Bristol, London, Dublin Birmingham - Marseille, Helsinki. Note: Connecting the Hendaye station with San Sebastian every 40 minutes. Note: TGV High Speed Train Paris-Hendaye: www.voyages-sncf.com . Connects San Sebastian with: Bilbao centre and Loiu international airport, Vitoria, Bayonne, Biarritz, Hendaye. Connects San Sebastian with: Madrid, Zaragoza, Valencia, Tarragona, Pamplona centre and Noain national airport. Connects San Sebastian with: Barcelona, Tarragona, Orense, Pontevedra, Vigo. Enlaza San Sebastián con: Pamplona, Teruel, Valencia, Benidorm, Alicante, Murcia, Cartagena. Connects San Sebastian with: Madrid Airport, Santander Airport, A Coruña, Santiago de Compostela, Vigo, León, Salamanca, Cáceres, Badajoz, Madrid, Zaragoza, Barcelona, Valencia, Córdoba, Seville, Malaga, Lisbon, Paris, London, Amsterdam, Berlin, Frankfurt, Zurich, Viena, Rome. Connects San Sebastian with: Different Moroccan cities.